Hello and Welcome to the Reconditioned Forklifts Website! Find more than Used Forklifts at ReconditionedForklifts.com. At ReconditionedForklifts.com, we strive to be your "one stop" online source for used forklifts. We believe we offer one of the largest selections of used forklifts online combined with unparalleled quality and customer service. As a division of Bahrns Materials Handling Equipment and Supplies, Inc., we are backed up by that company's near half century history in the material handling equipment business. Because of this, we have access to an enormous number of used forklifts from an array of reliable sources. We know the value of used forklifts and what to look for when we add one to our inventory. In addition, we offer used forklifts from all major brands, including; Toyota, Komatsu, Clark, Hyster, Nissan, Mitsubishi, Crown, and more! "As Is" used forklifts come with an inspection report, so you know what needs repairing to make them operational. This is a very economical way to buy used forklifts for companies who have their own service technicians. 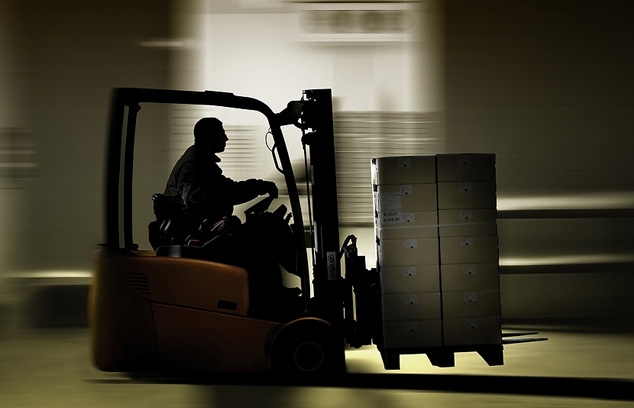 "Operational" reconditioned forklifts come with operational warranties. When you buy one of these from ReconditionedForklifts.com, you know for a fact that it will be in good operating order when you receive it. You will also know what may need replacing or repairing in the future. "Toyota Certified Reconditioned Forklifts" are backed up by Toyota's extensive warranty. We are an authorized TCRF dealer and our service technicians have all been given thorough training in Toyota's legendary 103 point inspection process. You can buy used forklifts elsewhere online, but you won't find better service anyplace else than here. Our parent company built its reputation on service and now that ReconditionedForklifts.com is online, we intend to build ours on the same principles. We are not just a faceless internet presence: we are professionals in our field who are here to serve our customers in every way we can. You can Contact Us at any time and one of our in-house service representatives will help you with any questions you may have - both before and after you have purchased your used or reconditioned forklifts. Want the insider's secrets on winning the next forklift rodeo? We'll tell you exactly what you need to do to take home the trophy!